The most in-depth look yet at the burgeoning Indian underground hip hop scene. Hip Hop Homeland is a series of raw, gritty profiles about a fast emerging youth trend which cuts across gender, class and geography, and makes powerful statements of youth identity and voice. The first eleven videos cover the growth of the movement in Mumbai, spanning the entire scope of hip hop subculture – from rap to other forms of self-expression like dance and visual art. This new trend is coming through the slums and the chawls, and the rappers covered in the series speak in a street `bhasha’ that draws on local languages in a quest for authenticity. The songs they sing are not about the Yo Yo flavoured escapist fantasy of clubs, cars and women, but about the real issues these artists face in their ‘hood’. Within a broader cultural context, these are songs and experiences that India’s Bollywood culture has ignored, focussing instead on escapist fantasy. Brash and unafraid, this is the sound of a brave new India talking about what matters in real life. These are voices worth listening to and their words are being amplified across the internet to a broader audience. Hip Hop Homeland begins in Mumbai but travels on to Kashmir, Shillong, Punjab, Calcutta and ends in South India. Q1. How was your experience while they were shooting you for the documentary ? A1. while shooting the documentary I did not really think much about how big it would be, I was just trying to show people what I do and what hip hop has done for me. Nimbu mirchi production house crew were really chilled out. More over I was happy to see that Cyrus the 101india starter was really keen on showing the real side to the whole story of hip hop and music in general. Q2. 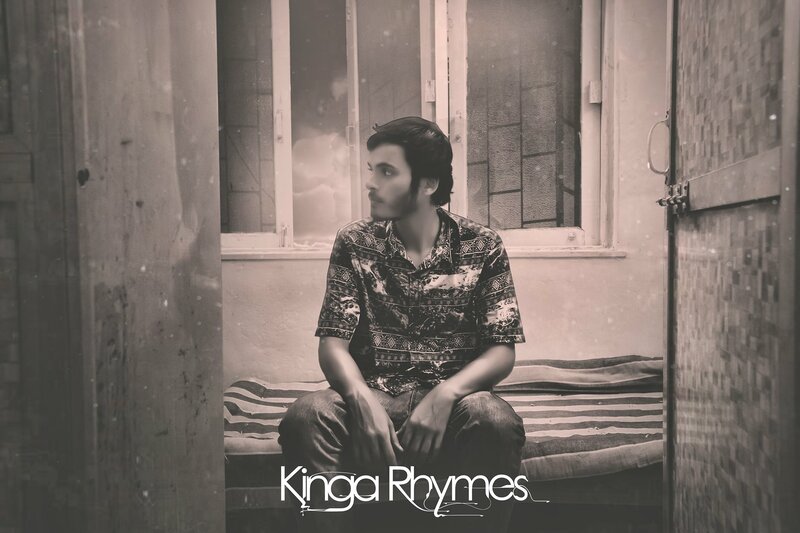 When can we hear new music from Kinga Rhymes or even the mumbais finest ? A2. So Mumbai’s Finest will be realising an album titled Mumbai Till I Die this summers, we’ve take a experimental approach towards the production side making a mash of old school and new school hip hop, also there are a lot of beats you will listen to that are produced by me. I also have a band now called 7th Aayaam and we will be realising I debut ep Revolt by March. For my solo stuff I plan to release some singles this summer with a few music videos and an ep titled Cloud Hop by winter, this is gonna be very experimental and not really hop hop in its whole form but some what of a mixture of my different influences from bands all over the world and a bunch of musicians who I generally hand around with. Q3. 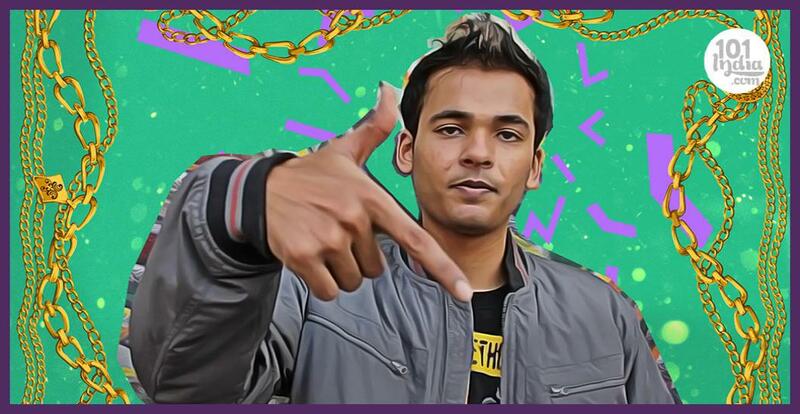 What do you think about the state of Desi Hip-Hop currently ? A3. I think it has reached new heights now, people want to know more about this form of art and are supporting it even though they might not get the whole concept. Apart from that there are kids who now think they can make songs just because they can rhyme and flow which I agree they do but the lyrical content is no where near for a common person to get and relate with or be a proper song. Also the production now a days has got quite generic but hey that’s what the people want they say . Now a days jo dikhta Hai woh bikta Hai wala scene nahi Hai it’s all about jo dikh raha Hai woh bik raha Hai. As we are near the end of the foundation phase of Desi hip hop I just hope we keep our roots strong. Q4. How is 2016 looking for you ? A4. Haha, the year looks jam packed with a lot of work, mostly 2 tours this summer via mumbai’s Finest and 7th Aayaam after our album releases. Over all, good days are ahead hopefully. Q5. What message do you have for your followers and fans ? A5. To anyone who listens to my music, Mf or 7th Aayaam, I just want to thank you for being there when we were just coming up. Do not be stuck by the rules people set for you, reach for the stars. Life will always keep throwing some problems, but we need to keep moving forward and solve them.